Completing a FAFSA application can be the most stressful process for a college student but alas, help and resources are available for everyone. 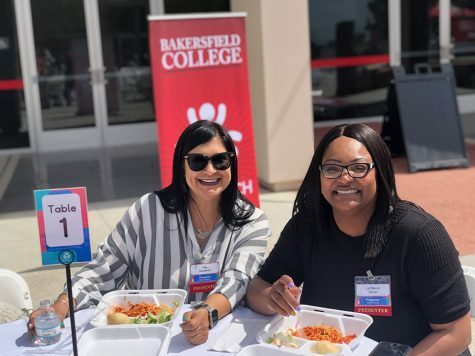 Bakersfield College held the Financial Aid Fest next to the CSS building to raise awareness of the financial aid process and its deadline on Feb. 5 and 6. 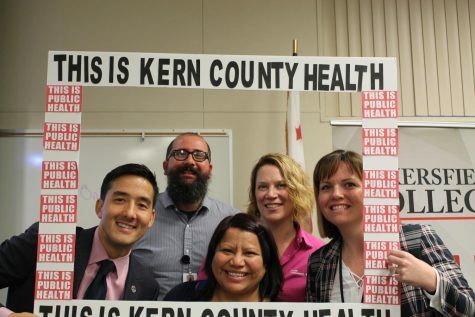 There were eight booths set up for Office of Financial Aid, Academic Support Services, Student Life, EOPS, DSPS and Workability, Veterans Services, and Jobspeaker. BC student, Janel Ortiz waits to receive a stamp from Department Assistant, Stephanie Vega after visiting the Academic Support Services booth for information on Feb. 5. To the left of Vega is Alana Austin. 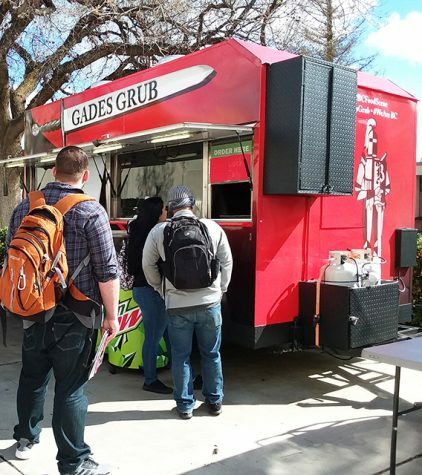 Students had to go to six booths in order to receive free lunch of tacos and fries at the Gades Grub food truck. 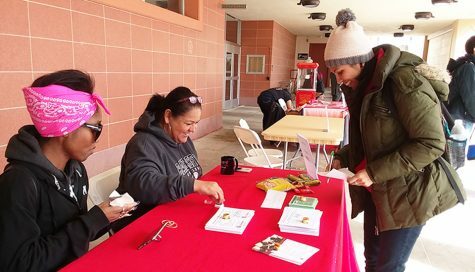 Students got a stamp on a paper for each booth and earned prizes and were informed of Financial Aid and other services along the way. 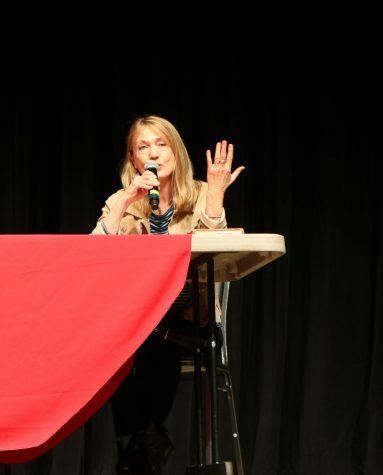 “We want every student at BC to fill out a FAFSA or Dream Act so we can reduce financial barriers for students and make them successful as much as possible,” Director of Financial Aid, Jennifer Achan, said. There were many students that were genuinely alert as they were offered information on the questions that they asked the people at the booths. After students got the required six stamps after visiting booths, they go to the Gades Grub truck for free lunch at the Financial Aid Fest. 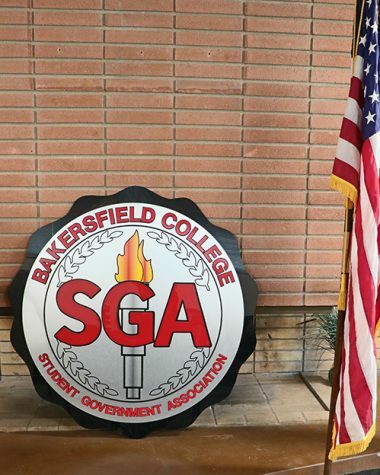 The deadline for the FAFSA, Dream Act, and Cal Grant applications is March 2. 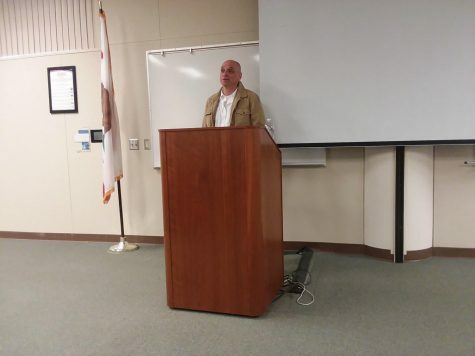 “We have workshops [for financial aid] scheduled throughout the month of February and they are posted on our website,” Financial Aid Technician, Heather Skibinski, explained.